@BobinCH, nice, those bikes don't look they'll be going anywhere soon judging by the snow depths! Superb on and off piste. @LaForet, stunning image! A hint of the Fontenay piste halfway up on the right, west flanks of Mt Gele and Le Bec des Rosses and I think that's Le Pleureur in the far background. The snow arrived today earlier than forecast (was supposed to start at 4pm, but it had arrived by about 1pm at the peaks). We nipped to Savoleyres to tick all the runs off on the piste map, as staying low seemed a good idea. Big flakes falling as we left Siviez at 4pm, small flakes at resort level until about half an hour ago. So, fresh snow for our last day tomorrow! Love this pic! Verbier is steep non? I'm there again in three weeks. Yip! @LaForet, We had lunch at Namaste on the day that superb picture was taken - sadly now back home after a fabulous week. If you're on a slow link or roaming you might want to wait 'till you've got the bandwidth to download the 18MB. @thundrer Yes, happy to do that. Actually, the images here seem to have been re-scaled by the Forum software down to about 3MB. You're obviously welcome to just download these versions. The originals are much bigger at 10MB and 17MB respectively. I'll try and mount them on my imgur account and then give you password-protected access. I'll send an email when I've done that, probably later tomorrow. I'll be keeping copyright - you're free to take you own copy and print etc. but not pass it on or make any money (I'm sure you wouldn't, but just for the record). You're all welcome to download for personal use but please remember that I retain copyright and the images aren't for re-posting or commercial printing. The meta-data embedded in the image includes copyright data. Any problems, let me know. Bear in mind a lot of image-handling software re-scales images without telling you, so always check the size of the file before you get it printed. For example, imgur scales the images down to 20% or less of their orginal size when rendered on this Forum, so just saving the snowheads image will give you a much smaller file.jpg, which may not print very well: The Adobe Gallery should let you download the full-size version. @BobInCH Action shots are always a challenge: I'm not a professional photographer and getting good action images is surprisingly difficult, even with good equipment. Capturing the 'flavour' of skiing is very elusive and to date I've never managed to get satisfactory results. In some ways, you're more likely to get 'good' individual photos' from a very artificial location that may not even be off-piste. Now I'm retiring, it'd be interesting to give it a go, but my feeling is that it'd take a few trial sessions before the images I took came close to being more animated. The forecast was for about 30cm, but with whatever the wind was doing Bruson had more like 50cm in most places, and it was super light, real Japanese blower powder. Fresh tracks in the Itinery, so re-did that. Fresh in the trees, what a special day. This was probably the best powder day I have ever had in Verbier. Later in the day I went to "main" Verbier where it was certainly very nice indeed...but not quite as nice. @BobinCH, @Steve Sparks, and all other verbier stalwarts , I've got 2.5 days skiing with my son who boards , Friday afternoon and all day sat / sun this week . with the sunny warm weather and lack of fresh snow , and the fact everything will have been skied out by the half term masses , what's the best spots to search out for some fun hits for the lad and good piste cruising for me , will be out from first to last lifts , so hopefully some good spring snow to be found later in the day ..........??? @BobinCH, cheers for that , “hike” is not in mikes vocabulary!! 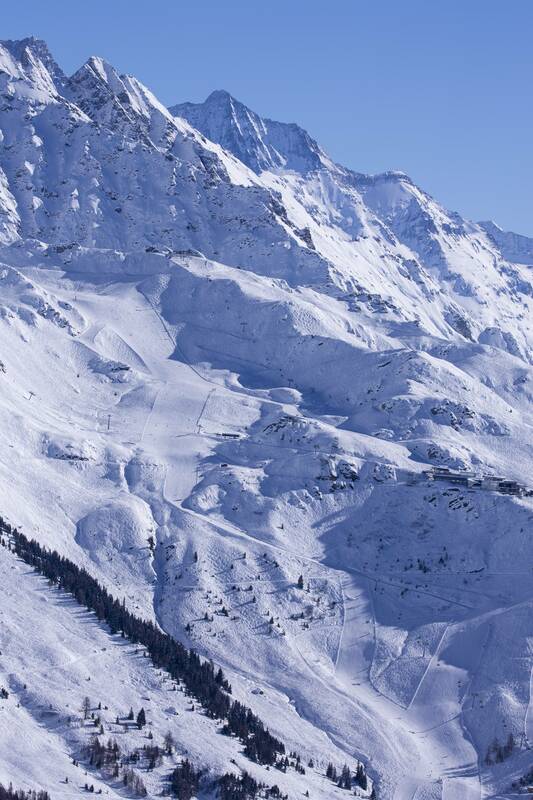 But will check out vallon d’arby , what will the itinerary over Bruson be like for a mini adventure on Friday afternoon?? @Dabber, Savolyeres has been quiet this week and there's some great piste side features for the lad to play on. Itinerary from Bruson to Le Chable doesn't get much sun, but will be fairly firm in places. Does anyone know if you actually save money booking lift passes online? The webpage says so, but I haven't seen that before. @Mosha Marc, yes, 10% but you've got to book more than 10 days in advance and I think there may be a minimum number of days that you have to sign up for. @Steve Sparks, thanks. Sorted it. 20Chuff for postage seems a bit steep; I said I'd pick them up. @Dabber, maybe because I go in about 12 days they had to express them? If it was FoC I'd have had them posted. Just a hint - as the Plannards-Carrefour path back from Savolyeres to Verbier is shut at the moment (massive avalanche risk), take the new piste that drops down to Les Esserts just before the point where the gate is closed on the path. When you get to the road at the bottom, cross over and head to the bus stop about 20M up the road and a bus will be along in 5-10 minutes to whisk you up to Carrefour, where you can ski down to Medran. Saves mucking about with the Rouge drag or a boring bus ride all the way through town. Why wouldn't you hop on the Mayenyzet chair (just along from Carrefour) to take you up to Atellas? Surely that'd be much quicker than skiing all the way down to a possibly very busy Médran? Unless you're returning home to central Verbier, I suppose? @Mosha Marc, where do you stay when you go Marc? I've got flights into GVA booked at the end of March and Verbier is on the short list to aim for, unless somewhere else is forecasting a major dump!! Perfect temps for playing with the drone. Need the practice! @kitenski, before now I've stayed at the Hotel Les Touristes as it's the cheapest I can find in resort. You get what you pay for, but it does the job. It was booked up this time, so I'm off to the Hotel A Larze in Le Chable. About the same price, but it looks way nicer. There are also Airbnb in resort which look ok.
@Mosha Marc, cheers, let me know what the A Larze is like then please Do you hire a guide at all when you are out?